Explosive new documents could threaten Peter Dutton’s future. AMID mounting speculation over Malcolm Turnbull's leadership, a new report has cast doubt on Peter Dutton, the main MP set to challenge him. Constitutional law experts say the Home Affairs Minister could be disqualified from parliament over his business interests, Ten Eyewitness News reported. In his parliamentary register of interest, Mr Dutton lists himself as a beneficiary of RHT Family Trust - along with his wife and children. According to ASIC documents, the business owns two child care centres in northern Brisbane. Under a law change Mr Dutton voted for, those centres have been receiving direct subsidies from the government since July 2 this year. But Ten notes that, under Section 44(v) of the Constitution, any person with "any direct or indirect pecuniary interest with the Public Service of the Commonwealth" is disqualified from Parliament. In April last year, the High Court ruled that then Family First Senator Bob Day was not validly elected to parliament, due to his breaching Section 44. The Commonwealth had leased the office space at a building he owned in order to house his electorate office, the ABC reported. Mr Day transferred the property to a family friend, but documents revealed there was an agreement that proceeds from the rent would go to a company he owned. A spokesman for Mr Dutton told Ten: "Mr Dutton's legal advice clearly states there is no breach of Section 44." But, if the case is referred by parliament, it could become a matter for the High Court to decide. In a worst-case scenario for Mr Dutton, this may not just keep him out of the top job - it may bar him from parliament altogether. Sydney University professor of constitutional law Anne Twomey told Fairfax Media disqualification is not out of the question. "I do think there is a danger for him," she said. "I think there is a reasonable case for his disqualification but he also has a reasonable defence. It is a real case and I would describe it as borderline." 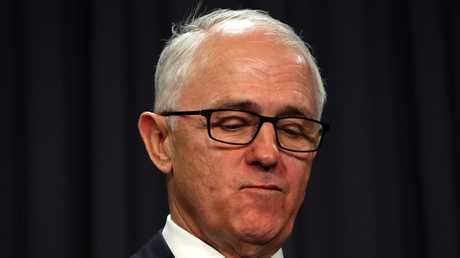 The explosive revelation follows speculation over Malcolm Turnbull’s future, with reports Peter Dutton is poised to challenge the PM. The explosive report follows speculation around the future of the Prime Minister's leadership. Ministers gathered for an emergency meeting at Parliament House last night, where discussions focused on the controversial National Energy Guarantee (NEG) - which promises to slap penalties on overcharging power companies. But the real action may have been happening on the phones. 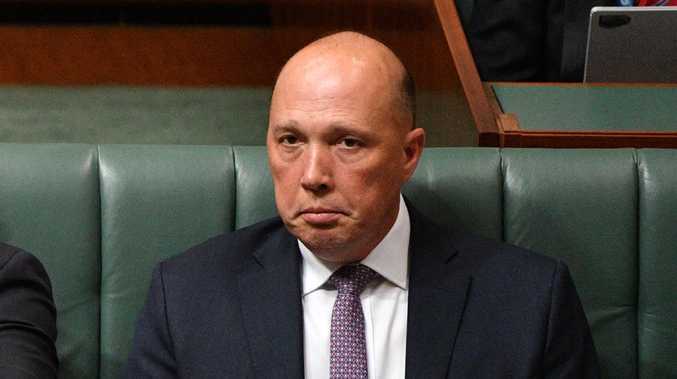 According to The Australian, multiple MPs called Home Affairs Minister Peter Dutton over the weekend to promise their support, should he choose to challenge Mr Turnbull for the leadership. "It is now almost inevitable, the question is timing," one senior minister told the paper. It also reported that Tony Abbott told a Young Liberals meeting over the weekend he was looking forward to serving under a "Dutton government". Mr Dutton was late to last night's emergency meeting, reportedly because his flight was delayed. 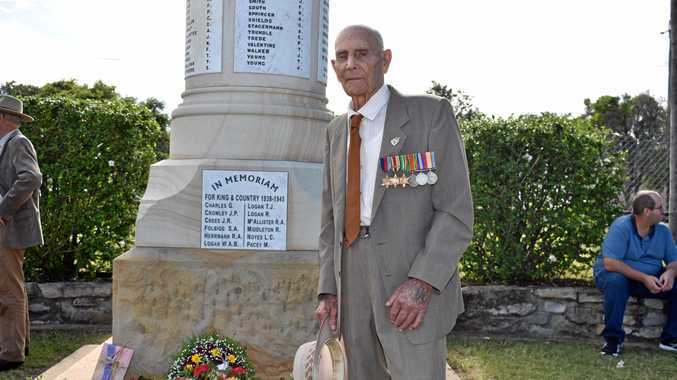 It's understood he missed the dinner, but arrived later at Parliament House after taking a VIP flight from Brisbane, the Courier-Mail reported. A horror Fairfax/Ipsos poll released overnight, which showed support for the government plunging. According to the poll, the Coalition's primary vote has dropped from 39 to 33 in just one month, and Labor now leads 55-45 on the two-party preferred measure. Mr Turnbull's support as preferred prime minister dived from 57 to 48, with Bill Shorten's rating improving by six points to 36 per cent.